Who doesn’t love the Olympics? They’re about to begin soon, and I want to expose my kids to this world stage. I showed them some videos on YouTube to show them exactly why we were making these Olympic rings. Then, we made our craft. This is a really simple craft. 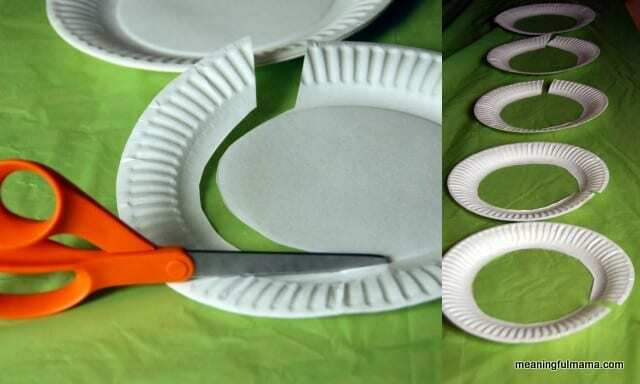 All you do is take five paper plates and cut out the center. Time to paint – red, green, yellow, blue, red and black. I had the little guy playing with the paint too. Put all of the plates together as shown in the top picture. 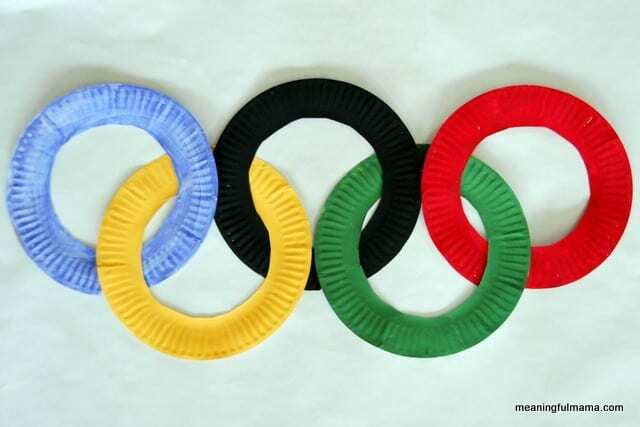 You have a fun replica of the Olympic rings. 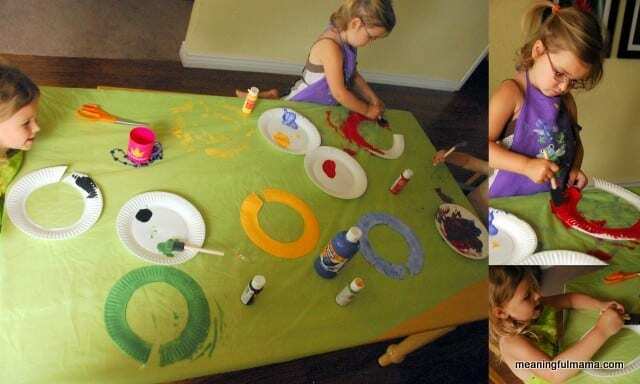 That is the perfect craft to get kids excited for the Olympics!! Thanks. It was a great way to give my kids their first exposure to the Olympics. I do believe I am gonna have to include this craft in our Olympic Lapbook study! LOVE IT!!!! I would so appreciate that. I’m glad you liked it! Great idea, we’re actually going to have an Olympics of our own with our friends! This is perfect to decorate with, thanks for sharing! What a fun idea! Can’t wait to try this with my kids. They’ll love it! Love this idea! Pinning no! LOVE IT! My daughter is going to make these tomorrow! I’d love for you to link up in our Crafty Showcase. It runs from Sat-Thur and then our designers will pick their favorites to be featured on Friday. If you have other kid-friendly crafts, we’d love it if you would submit them. If you would like to display a featured button on your site, you can grab one from the right side bar of your post above. Thanks for a fun project idea! Breaking this out today in toddler celebration of Sochi starting tonight! Thanks for the pure, simple, easy fun! Fabulous, Tiffany! I hope you have a lot of fun with it.